How to listen to Spotify on airplane mode without premium? "I'm going on a plane soon and it's a long flight. I'm wondering how do I listen to my music on my iPhone 6? I don't have Spotify premium and I'm on airplane mode"
If you also have this problem then you are at the right place. We all know that with Spotify Premium you can download songs/playlsits for offline listening. But what to do if you are a Spotify free subscriber? Is there anyway to listen to Spotify music without an internet or network connection? The answer is yes. 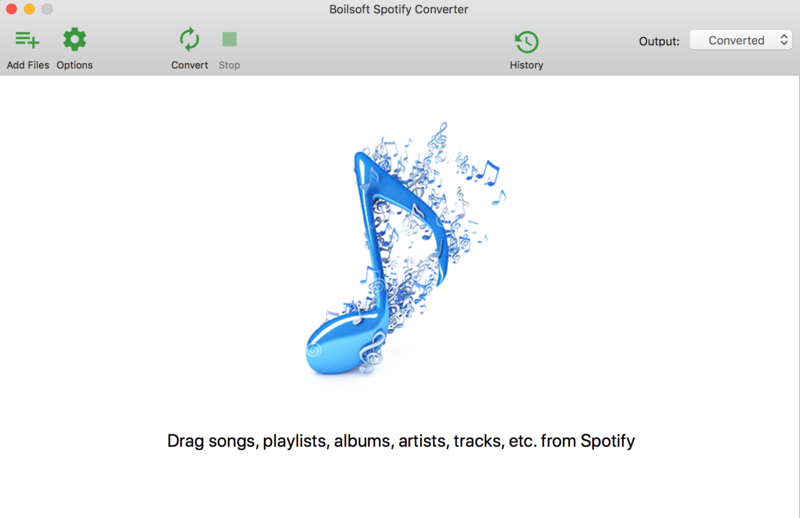 With Boilsoft Spotify Music converter, you can losslessly convert Spotify music to MP3 and save to your smartphones to play on airplane mode. You can also set the quality of the converted music. All ID3 tags will be preserved. This is a detailed tutorial about how to convert Spotify songs, albums or playlists to DRM-free MP3, M4A, WAV and FLAC to enjoy them on airplane mode. 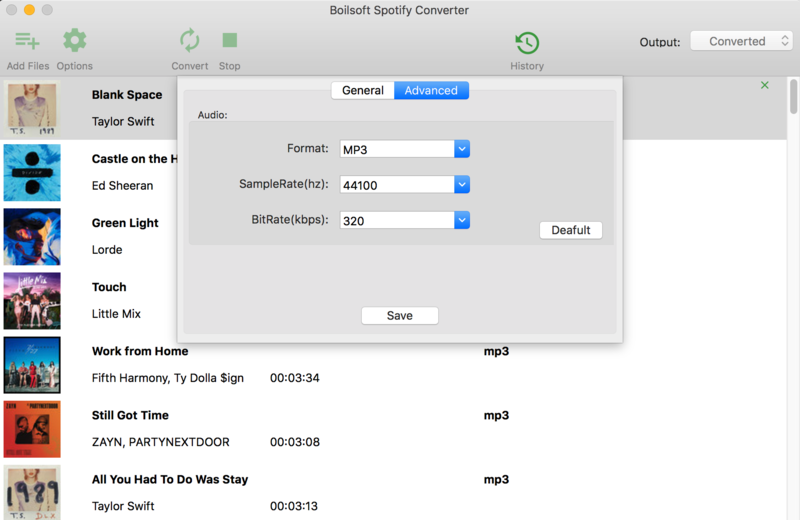 Tutorial: How to convert Spotify Music to MP3? You can now drag and drop songs, albums, playlists or artists to the interface directly from Spotify App on your Mac. Just head to any playlist, album, or artist page and drag&drop the cover to Boilsoft Spotify Music Converter interface. If you are using Spotify web player, click Add Files icon and copy&paste the link of the song, album, playlist or artist to the bottom input area. 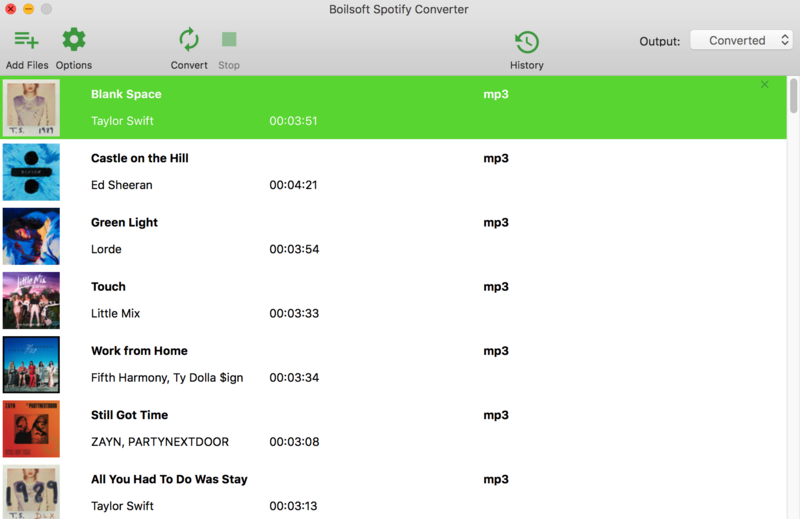 Boilsoft Spotify Music Converter will automatically load all songs contained in the album or playlist. Click Add and you will see all songs on the interface. The default format is MP3, if you want to convert Spotify music to MP3, just move to the next stop. If you want to change output format(M4A, WAV or FLAC), click Option button. You can also set music quality by changing bitrate and samplerate. 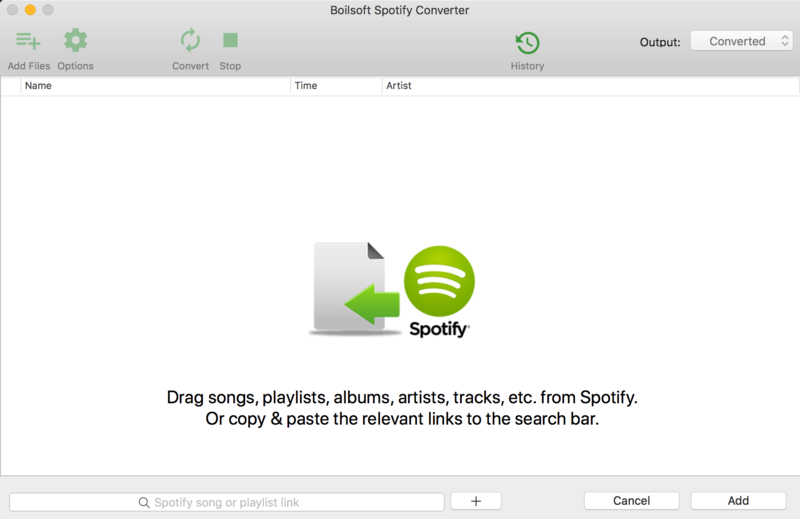 Click Convert icon to start converting Spotify music to the format you choose. After conversion, you will get the drm-free music in plain formats. Transfer them to your smartphone and now you can listen to them on your plane trip on airplane mode. You can also transfer them to MP3 players, tablets, etc.